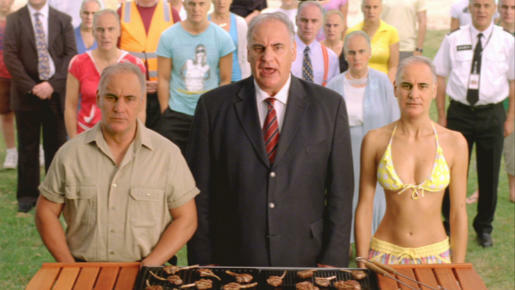 Sam Kekovich is back to put lamb on the menu for Australia Day, this year suggesting that eating lamb will address the financial problems caused by over paid fat cat bankers. “We need to return to the egalitarian values that made Australia great, embodied in our national dish: the barbecued lamb chop,” Sam says. The spot finishes with Kekovich borrowing from Barack Obama to call the Australian nation to unite in his likeness. Sam’s address went to air on television on Sunday 11 January and can be viewed online at www.mla.com.au/samk2009video. The address to the nation will continue to be televised until 26 January and will be supported by online advertising and in-store promotions. Sam will also be taking his message to the streets this year, with a national tour to all state capitals in the week leading up to Australia Day. The Main Meal site provides online visitors with the opportunity to become Sam Kekovich by downloading a mask template in pdf format. 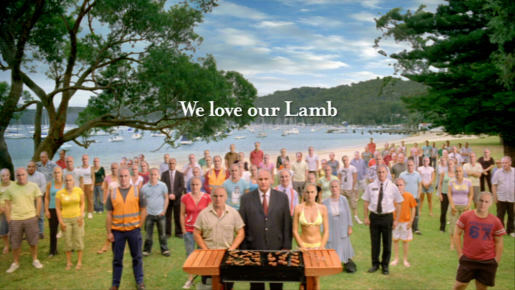 The Sam Kekovich campaign was developed at BMF, Sydney, by executive creative director Warren Brown, copywriter Dennis Koutoulogenis, art director Jake Rusznyak, agency producer Louise Hodgson, business director Ruth Holt, account director Alison Tilling, account manager Louise Mawer and agency producer Louise Hodgson. Filming was shot by director Simon MacRae via Orange Whip Films with director of photography Jon Bader, producer Alex Mooney. Post Production was produced by Jim Bullard and edited by Dan Mitchell at MRPPP. Sound was designed by Paul Taylor at Sound Reservoir. Printed material was produced by photographer Jon Bader, producers Dominic Ardino & Clinton Bell and art buyer Basir Salleh. Media placement was managed by Universal McCann. PR was handled at Hausmann Communications.